The Cyborg armchair with armrests by Magis is a two-part chair composed of familiar forms, materials and colours to form a new version. 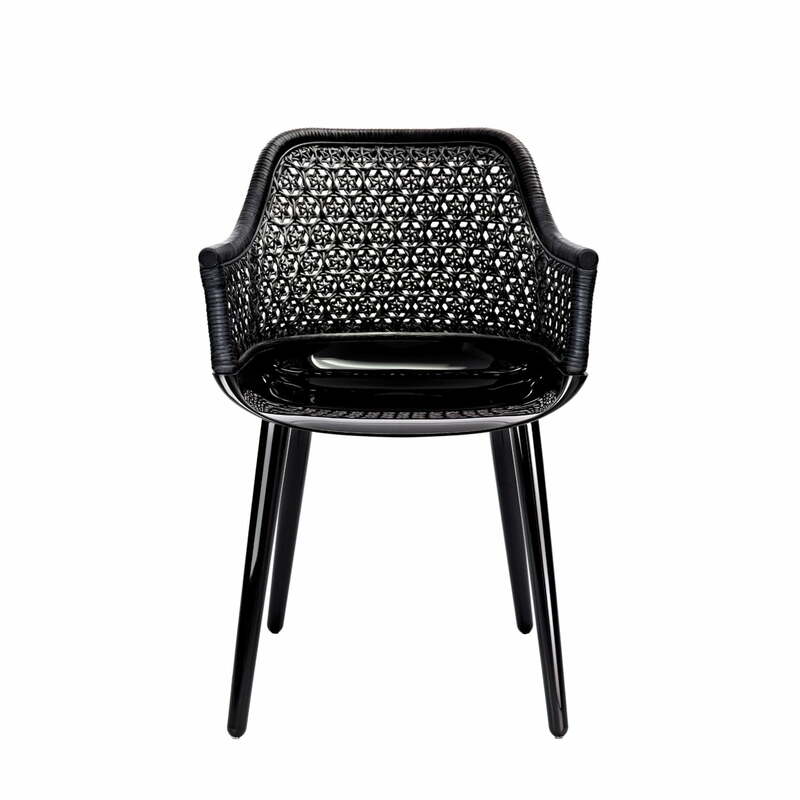 The eponymous collection includes several chairs, which delight with different material combinations. Based on the composite beings - known from sci-fi movies - the Magis chair is a component of multiple elements of natural and artificial parts. 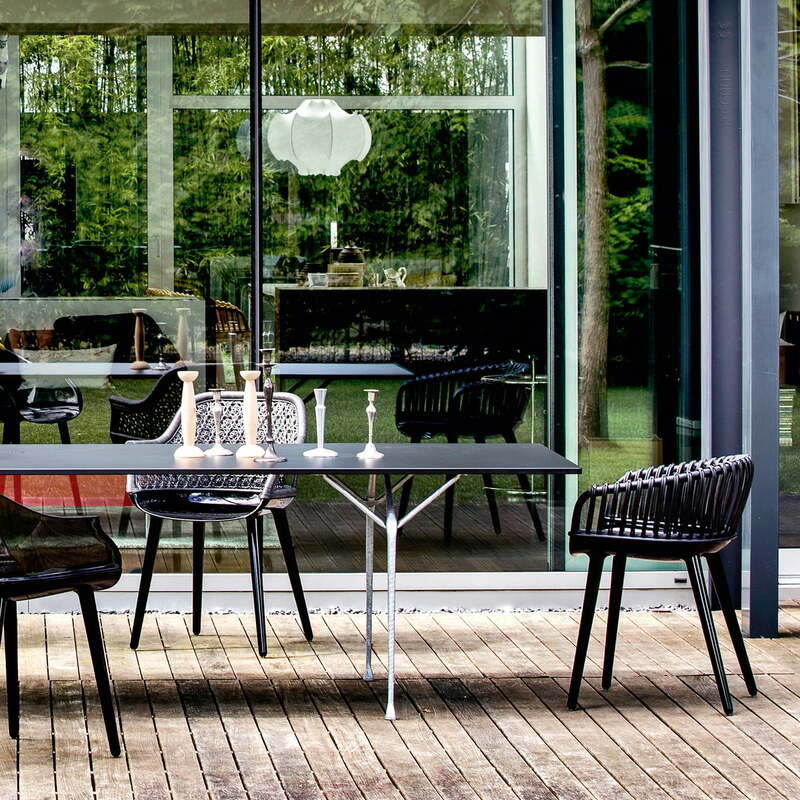 As elegant variant the Cyborg consists of a frame made of polycarbonate and a backrest from woven wicker. Due to the extravagant material mix and the tension between material and manufacturing the Cyborg was awarded with the German Design Award in 2016. The backrest is produced in elaborate hand work, whereas the base is manufactured with the help of industrial processes. An exciting combination that is not only visually convincing, but provides high-quality covers for high seating comfort. 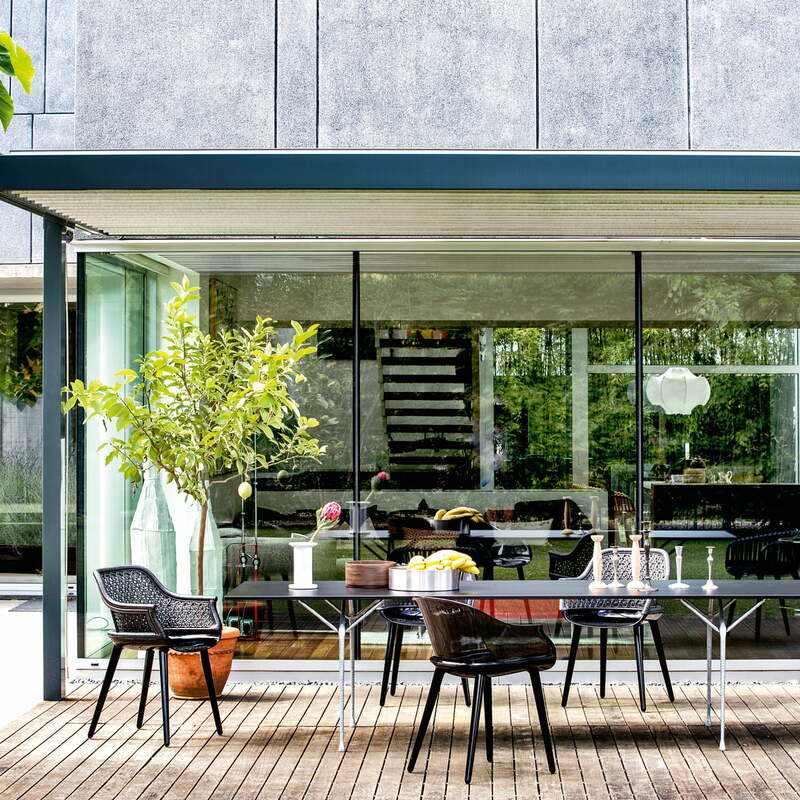 Single image of the Cyborg Elegant chair by the Italian manufacturer Magis. 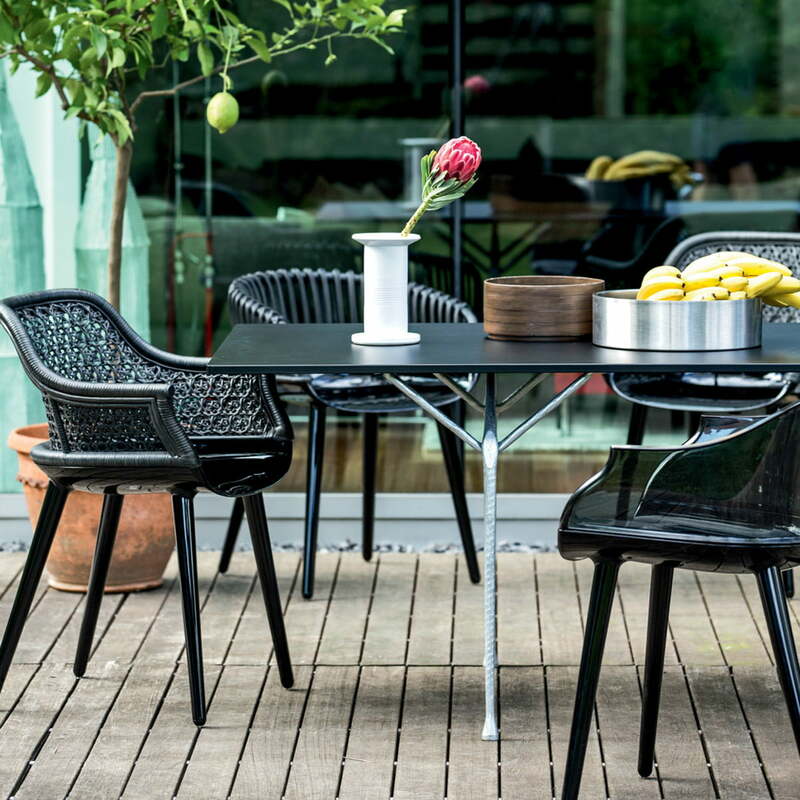 The Chair consists of a black plastic frame and a backrest of braided wicker in black.